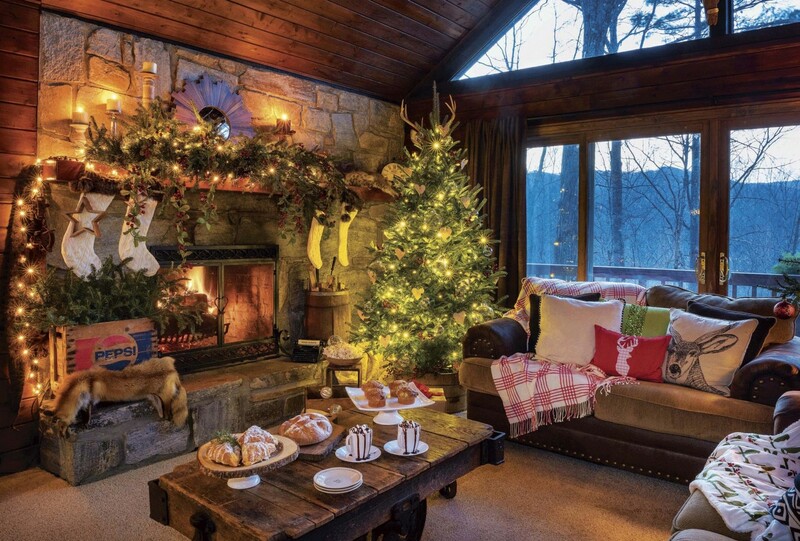 Charming cottage-style holiday décor in the mountains of North Carolina. TREE & GLEE. Everything in the living room sparkles, while the tree stands tall in its own space. The stockings are “hung by the chimney with care.” And the mantel hosts an abundance of pine clippings, real and faux. Simple yet elegant throw blankets add pops of festive cheer to the scene. Christmas is a time of family, cheer, and—let’s face it—major décor decisions. 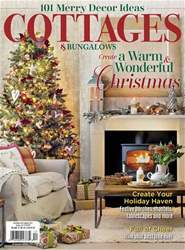 For Suzanne Price, avid home décor enthusiast, decorating for Christmas is something she looks forward to every year. Located in Deep Gap, North Carolina, Suzanne’s cozy cottage is inspired by the local mountain charm and the community of people around her. “The mountain vibe is a whole different world. It is so laidback, and everybody here is sort of unique in his or her own way. People here are very down to earth”, says Suzanne.